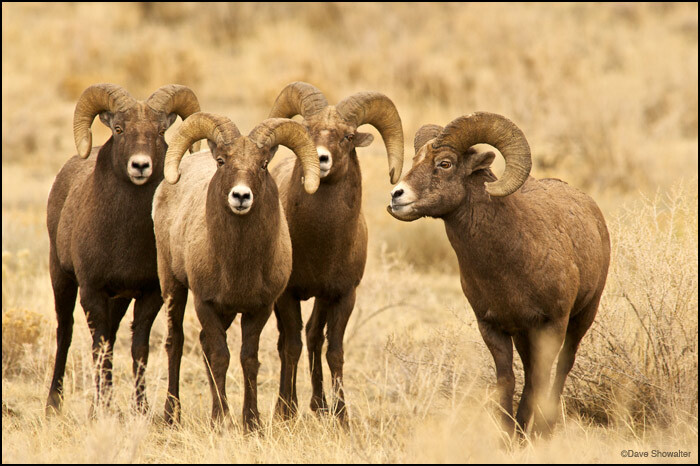 Bighorn rams during the autumn rut, or mating season. These rams had just finished a lengthy battle for the right to mate, and moved on for the evening. Photo © copyright by Dave Showalter.